Most experts agree that the best way to learn a language is by immersing yourself in it. Now, with more sophisticated technology, another theory around language learning is being tested: the use of avatars to practice speaking. Alongside traditional methods, like listening, repeating, and digital flashcards, created by companies like Rosetta Stone, Livemocha, and AccelaStudy, a few tech companies have leveraged the idea that becoming someone else helps to learn a foreign language, especially when speaking it. Companies like Second Life and Middlebury Interactive Languages both offer digital avatar programs to give language learners a chance to practice their skills in virtual environments. Britain’s Language Lab has created “English City” using Second Life, where learners are promised realistic conversations with native English-speaking teachers, also using avatars, in virtual but plausible digital environments, like checking in at the airport, going to an art museum, or giving a presentation. "Speaking practice was only possible in the classroom, and that meant very little practice for students who have no contact with English outside their school." That reality is now here - and while Second Life and Language Lab are meant for the language learner at home on her laptop, what about using digital avatars in classroom environments? 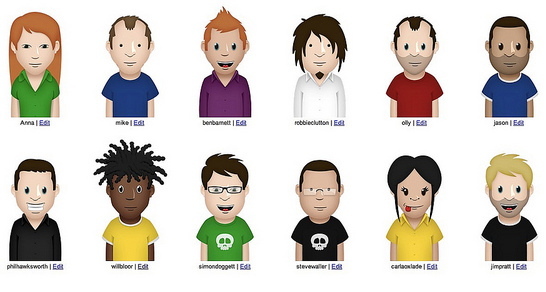 Some teachers say that language-learning avatars work well for classroom students, if used in a slightly different way. English teacher Ana Maria Menezes uses web tool Voki with her high school students in Uberlandia, Brazil, and said she has watched them become more comfortable speaking English when it’s not really “them” doing the talking. Voki, a free education web app created by Oddcast, allows students and teachers to create their own talking character - they can be historical figures, animals, or a person that looks just like the user. Teachers and students can give their character a voice by using one of three methods: text to speech, recording by microphone, or uploading their own pre-recording audio file. Voki characters can speak in over 25 languages, and 150-plus voices, according to Eric Kiang, Voki’s Product and Marketing Manager. Menezes has students record themselves speaking English, and then has them play it for the class on a computer, using their avatar. Middle and high school Spanish and German teacher José Picardo doubts that using avatars alone causes dramatic improvements in learning a new language. “But I do think that incorporating tools such as Voki into the teaching and learning that goes on in my classroom, and practices such as regular peer-assessment, has had a very positive influence in attainment.” Picardo puts all of his students’ avatars on the departmental blog at Nottingham High School in Nottingham, UK, where they can be used by teachers, parents and students both as a showcase of student work as well as for peer review and assessment. One drawback teachers mentioned is the learning curve to use the apps; Second Life’s virtual world recommends that students be 16 to use it. Menezes mentioned there is a ramp-up time to using Voki, too, and that students need access to good recording equipment and fast Internet connections to get started. But even with learning curves, the technology is intuitive and tech-savvy students catch on quickly. Even for the non-techie school setting, though, there's another option. Wake Forest Latin teacher-scholar Ted Gellar-Goad developed an original pen-and-paper avatar game for his Latin prose composition students. Students role-play and interact in ancient Rome, in the spirit of Dungeons and Dragons, and the game is meant to help students stay engaged and have fun performing the arduous task of writing difficult Latin sentences. For the imaginative teacher, there's always a way.